I am a life member of Trout Unlimited, and believe in the balance of nature that biodiversity provides. But native trout restoration is an issue that gives me angst. It’s hard to witness the destruction of a healthy fishery with rotenone, in the hopes of restoring a native fishery. I do ponder whether it is always a worthwhile effort. Case in point, I recently hiked into Grayling Creek in Yellowstone National Park. This stream had been an outstanding brown and rainbow trout fishery. Deemed an excellent candidate for native trout restoration, it was “rotenoned” in 2013 and 2014. Rotenone acts by blocking the transportation of oxygen across gills. Therefore, all lifeforms that breath with gills can be killed by it. This includes both fish and aquatic insects, the primary food source for trout. In 2015, grayling and westslope cutthroat trout, two native species, were reintroduced. Reintroduction was performed over the next two years as well, ending in 2017. So what did I find in July, 2018? While I am not an electro-fish rod, I am a good trout fisher. What I found as I fished roughly a mile of the stream was no fish, either seen or caught. In addition, few bugs were present. It may be a bit early, but so far, native trout restoration in Grayling Creek is an abysmal failure. Looking at publicly available information, restoration efforts have been mixed. This doesn’t surprise me. While competition with non-native fish does contribute to loss of natives, it is hardly the only reason native fish struggle. Native trout species plummeted to non- sustainable levels in many streams in the mid to late nineteenth century. Their demise occurred for many reasons. Some of the causes included deforestation, warming of the streams, industrial pollution, urbanization, and over-harvesting. All of this occurred before stocking began. It is therefore misleading to attribute the struggles of native trout populations today largely to the presence of other trout species. It was in response to sportsmen’s cries for robust fisheries that brown trout eggs were first brought from Europe in 1883. Brown trout were selected primarily for their tolerance of warmer, less clean water. They are also more difficult to catch, and therefore not as subject to over-harvesting. Flash forward to the present, over one-hundred and twenty-five years later. Do we really understand why native fisheries continue to fail? What benchmarks do we have from the period in which native fish once thrived? Do we have water samples from that early period? Pictures or descriptions of the riparian zones? Knowledge of bug species and density? Can we restore streams to their previous conditions without true comparators? And can we truly identify the cause or causes limiting native fish in an individual stream? If so, can they all be mitigated? I understand and believe in biodiversity. I also think that it is incredibly difficult to turn the clock back over a hundred years. Some human damage and environmental changes can be mitigated, but others cannot- the planet is warming. Should we not consider letting fish more tolerant of present conditions thrive, rather than poisoning them? 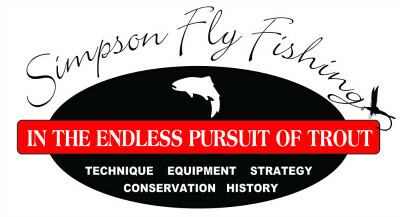 TU’s mission statement is “to conserve, protect, and restore North America’s coldwater fisheries and their watersheds”. I think that the major efforts should be on the watersheds. If we are able to restore them to what we think they were a hundred twenty-five years ago, perhaps then native trout restoration could be tried. But I think this should be done in a limited fashion, with transparent public reporting. If a failure occurs, such as the case so far in Grayling Creek, let’s accept the results. Then move on, and allow better adapted species to once again fin the stream. Written by Al Simpson, October, 2018. I very much enjoyed your article detailing your concerns about poisoning a thriving fishery in order to (hopefully )re- establish a native trout population. I also like the idea of occasionally adding a literary twist ( short story) to what is already an interesting and well crafted product. My books are not self published and the awards I have won while successfully battling the cottage industry masquerading as the MFA in Creative Writing for the young and marginally talented are testament that some still read Hemingway and Faulkner. At any rate , I suspect most of us trout fishermen and ladies have found time (while waiting for a hatch, perhaps) to consider with both joy and sadness our place and the place of the wild trout on this lovely blue-green planet. AL, I agree with your thoughts on reintroduction. DNR’s get carried away with idealism and expanding and perpetuating their jobs. Has Grayling Creek been successful??? Has the DNR been honest and forthcoming??? I have seen too much of DNR missteps and don’t trust them. Why did they poison the Firehole and the Gibbon above their falls? There were no trout there to begin with, and the Firehole Browns had adapted to warmer than usual water.